…AND SO WE face the final curtain of an All-Ireland championship which has, in all honesty, failed to match the frenetic brilliance of the last few. 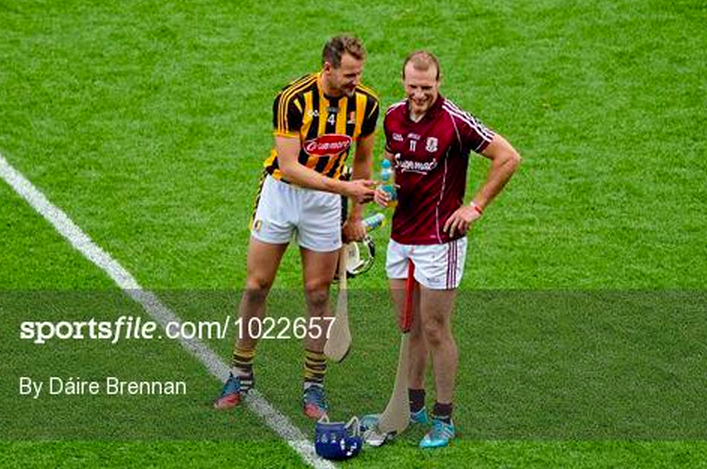 Kilkenny (1st, 2242) face Galway (3rd, 2077) in a repeat of the Leinster final; just as they did in 2012, when Galway took provincial honours but Kilkenny emerged as national champions following a replay. There seems to be a strange sense of ‘momentum’ about Galway – the perception that, because they shipped three goals to Tipp in the semi-final and still managed to beat them, that there is a fate written in the stars somewhere that This Is The Year. Maybe that’s the ideal use of Elo ratings – to defuse the emotion from the case at hand. From this writer’s vantage point there doesn’t seem to be much different about Sunday’s match than to the Leinster final, when Kilkenny seemed to be able to muscle their way to victory without a huge amount of discomfort. The only differing factor is that Galway have since been through the wars against Cork and Tipperary and emerged smiling. Is that a positive thing though? Can a team like Galway, which has yet to make the ultimate breakthrough, turn on that sort of intensity twice in a month? Time will tell but there’s some scepticism on these pages. Elo says Kilkenny will win by 68.1%. We shall see.